The space shuttle program operated from 1981 to 2011. On this 26th mission, the space shuttle Discovery stayed aloft for 4 days. 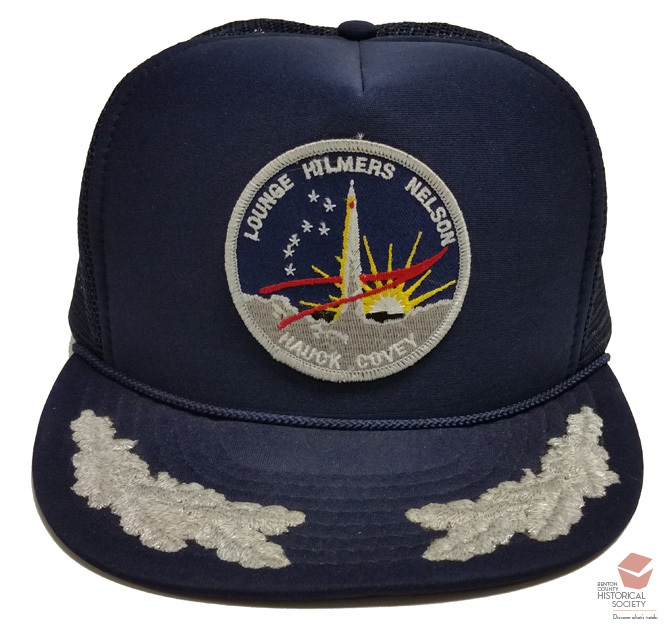 The 5 crew members whose names are on the cap put a NASA relay satellite into orbit above the earth and performed a number of science experiments. Other space shuttle missions helped build the international space station.